A quick walk and one subway transfer away from The Yellin Center is The 92nd Street Y, a brimming New York City resource for arts, fitness, and intellectual engagement. Your blogger had the privilege of attending a recent talk there as part of their 7 Days of Genius Festival. 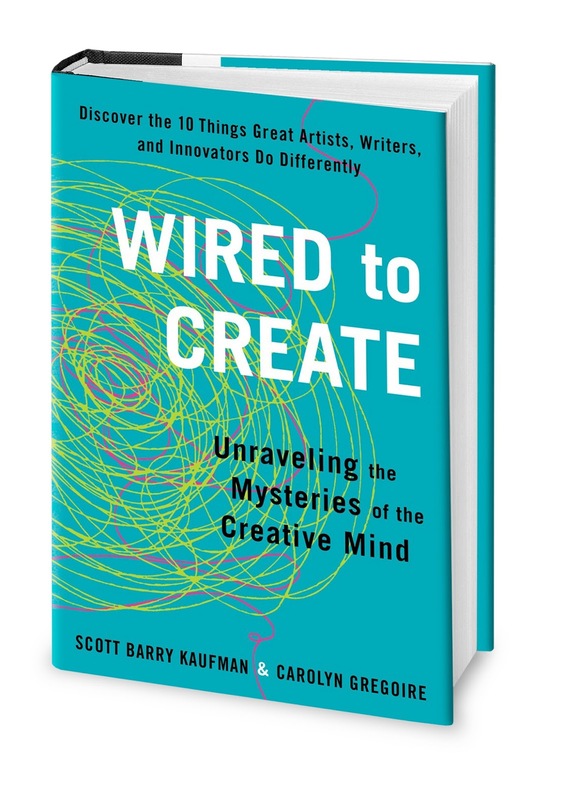 Interviewed by David Epstein, the speakers were psychologist Scott Barry Kaufman and journalist Carolyn Gregoire, authors of Wired to Create: Unraveling the Mysteries of the Creative Mind. They talked about what creativity is, how and when it tends to emerge, paradoxes surrounding its functioning, and an assortment of related fun facts. For example, did you know that Thomas Edison caused an explosion in his lab (Oops!) before becoming the creative genius he tends to be thought of today? The Edison example speaks to the importance of creative people creating a lot of not-so-great, or potentially just awful, stuff in the process of getting to excellence. Creators thrive when their need for uniqueness exceeds their need to belong, and when they are adept at handling rejection. This makes us wonder about the typical school focus on needing to do X,Y, and Z to get an “A” (for “Approval”? ), an encouragement to meet expectations rather than to defy them in hopes of putting forth something creative. Risk-taking, by virtue of its name, is difficult enough; and school systems, by virtue of their predominating models, may be discouraging it further. Also, despite how important play is for fostering creativity, as well as for other key developmental skills, play has seen a huge decline in schools over the past few decades. It may be wise to try to strike more of a balance in classrooms between teaching precise formulas and encouraging playful mindsets. Kaufman shared that as a child, the prevailing message he got from his teachers was that he was stupid. He was not conforming to expectations. This translated into discouraging messages about his potential, not just as a student but as a contributing member of society. There is a beautiful irony in his talking about this as a successful psychologist and prolific writer, not just contributing in a significant way but— in the process— encouraging others to do the same. He notes that while sitting in the classrooms where he was treated as stupid, he was engaging in creative inner monologues. My hope is that particularly in the Digital Age, in which innovation is arguably more important than memorization, teachers will do what they can to encourage, not stifle, such creativity.